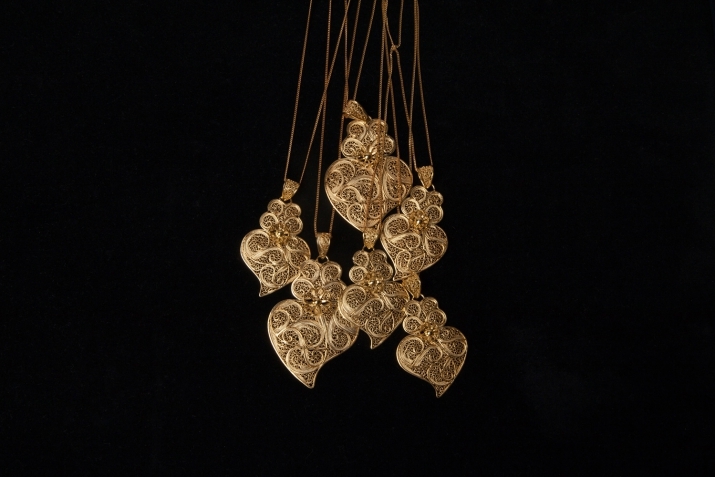 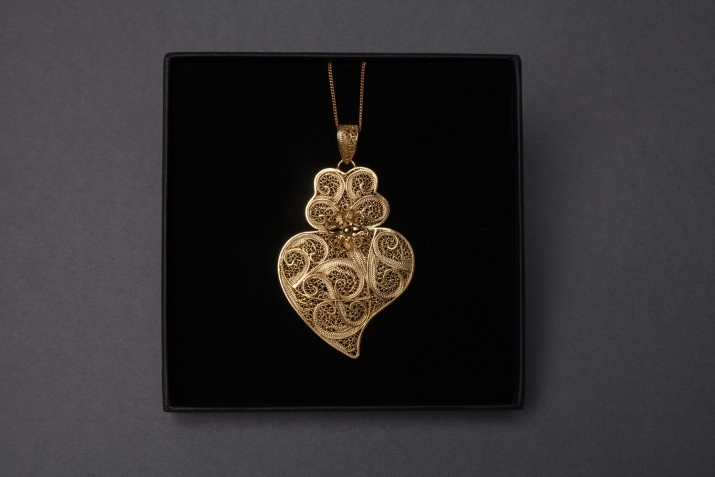 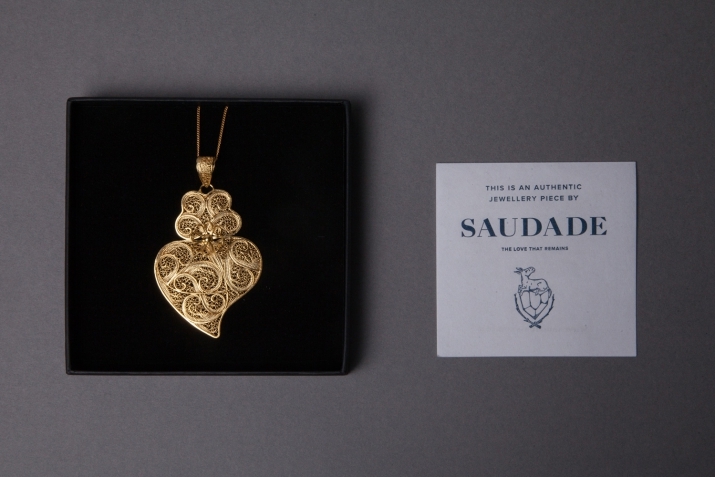 The Corações de Viana are the pride of Minho’s regional filigree artisans, Viana being the capital city of Minho and Corações which means hearts coming from their shape. 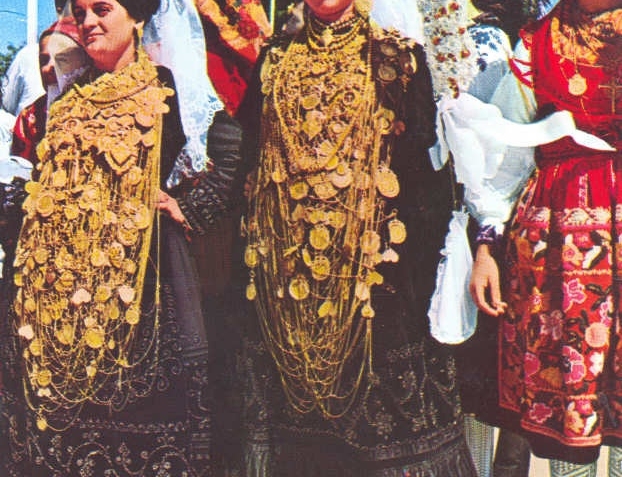 Tradition would have brides dressing in black and wearing all of the family’s jewellery around their neck, jewellery which would be passed down from grandmother to mother to daughter. 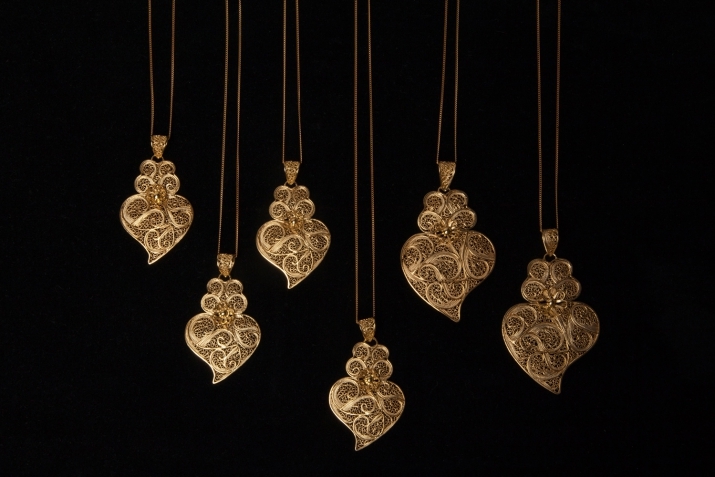 These are sterling silver plated in 24 carat gold.